The ER2 Stepless with infinitely variable speed control features an inverter and a special push button control station with buttons that stroke 6.5 mm. Lifting and lowering can be accelerated or decelerated from 16% of maximum speed to 100% of maximum speed, simply by depressing the push button. The company says the ER2 Stepless hoist is ideal for eliminating load-bounce in jib or bridge cranes, making load positioning safe, easy and intuitive for the operator. As well, the hoist is perfectly suited for fine positioning in assembly operations, or in cases where the load is delicate and valuable. The ER2 Stepless hoist operates with dual lifting speed, and is available for a capacity range of 125 kg to 5 ton. The ER2 Stepless is well known for its «cushioned start and stop» feature based on the ramp-up and ramp-down speed control programmed into the inverter. It is ideal for delicate loads or precise load positioning. 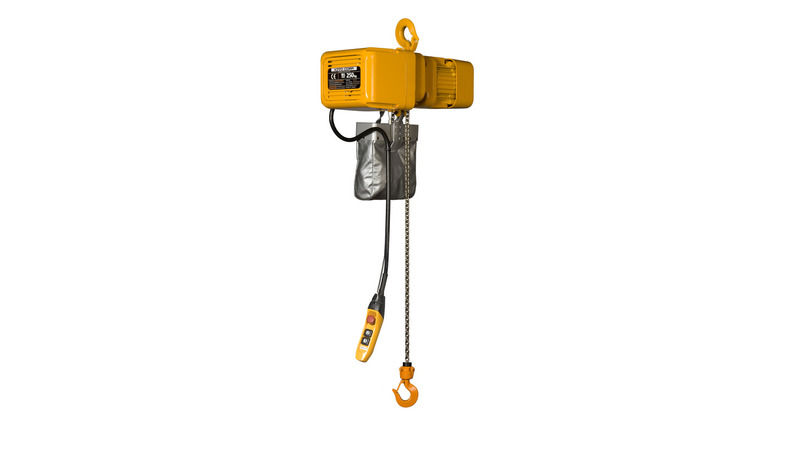 Similar to all Kito electric chain hoists, the ER2 Stepless hoist comes standard with the Kito brand grade 80 NP type load chain. This nickel plated chain is well known for its corrosion resistance, as well as a super-smooth surface that greatly reduces link to link wear.